November 17, 2015, Rybinsk. - On 2 November 2015 A.L. 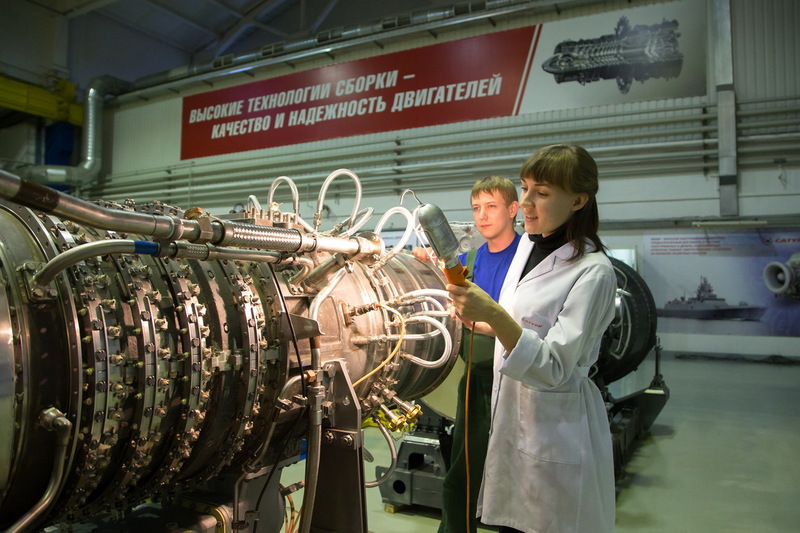 Dynkin (1915 - 1998), a doctor of technical sciences, first deputy of the chief designer of the Rybinsk aviation engine design bureau would have turned 100. November 10, 2015, Rybinsk. - “Think to win!” was the slogan of the I All-Russian competition “The young analyst”. 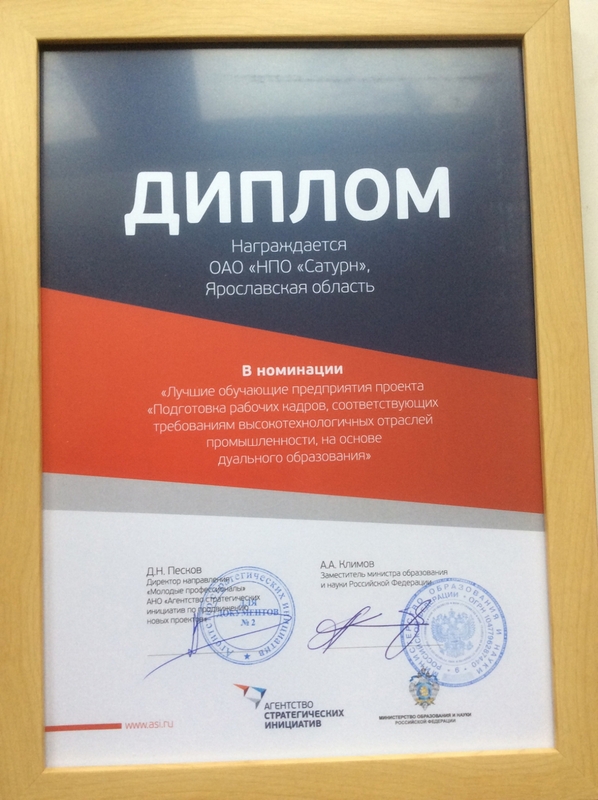 Artyom Badernikov, an NPO Saturn engineer, was voted the best analyst having high professional and personal potential for carrying out analytic activity in the field of state administration and corporate governance. On November 8, 2015, during the last day of the final round of the prestigious competition “The NPO Saturn best young employee 2015” the judges came up with their verdict. 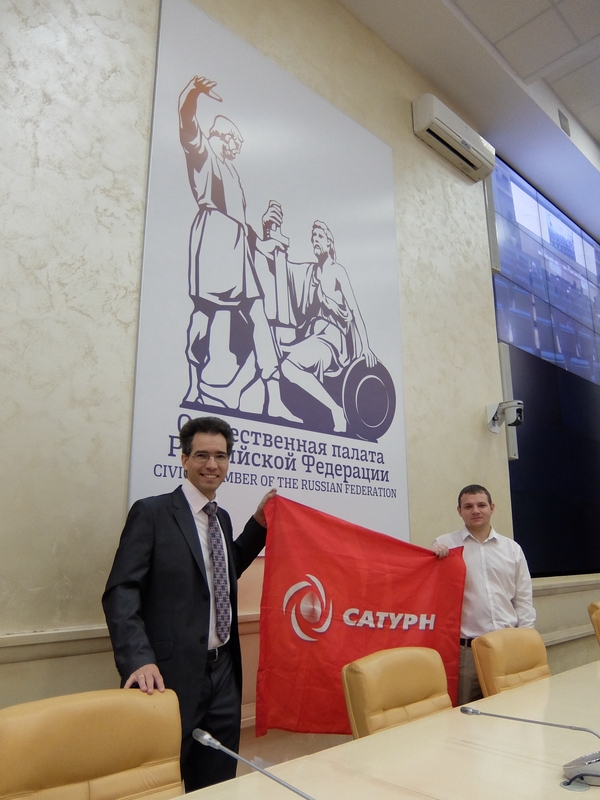 The title of the best young employee of NPO Saturn in 2015 went to Nikolay Shumilov, head of operations at workshop 40. The second place was won by Vladimir Syrov, head of engineering department at workshop 7. 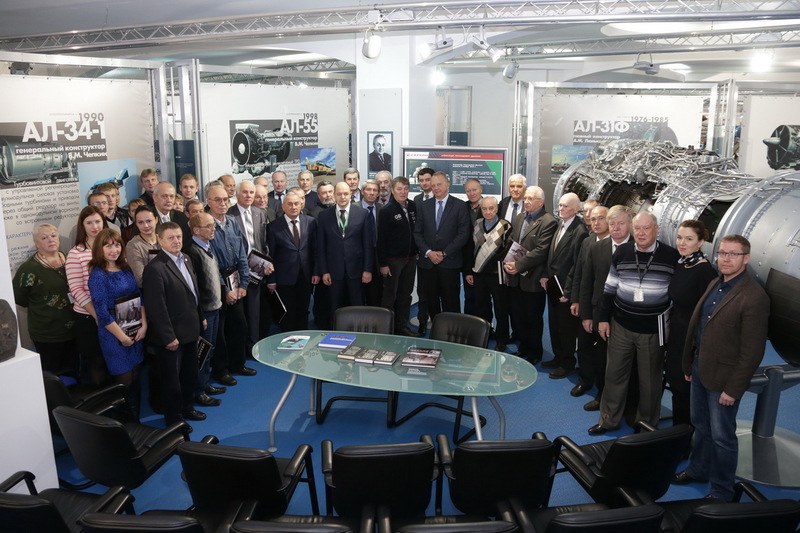 The prestigious “bronze medal” went to Igor Lysenko, a design engineer representing the NPO Saturn turbines design department.